Created cutting-edge interactive experiences on the Xbox Entertainment hub platform for Fortune 100 companies in an agency setting. 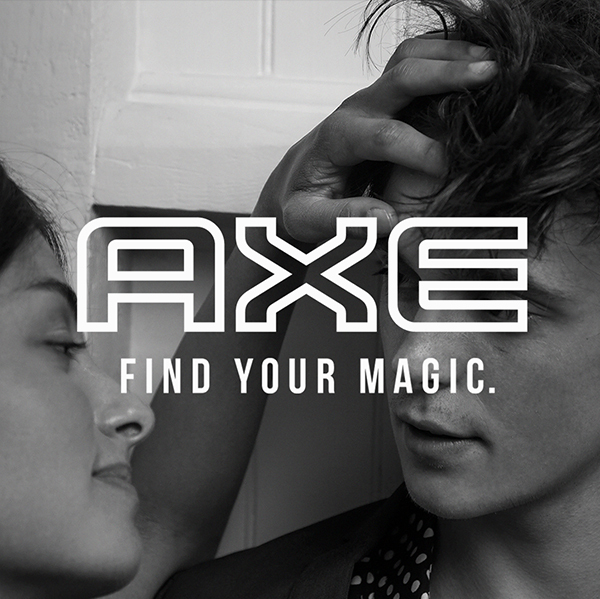 I worked closely with sales and executive team facing clients looking for cutting edge, immersive, and actionable experiences that allow the users and customers engage with their brand in a more engaging and actionable way, redefining the way consumers view an advertisement. We used Microsoft’s robust Xbox advertising technologies like interactive video content viewing, mini-games, product gallery, polls and sweepstakes and direct purchase from the Microsoft entertainment store. We start with presale explorations and mini-game designs, which aid sales pitches and demonstrate Xbox Ads platform capabilities in prospects that typically resulted in deals ranging from $200K - $4M campaigns. Adidas partnership with NBA star James Harden showcased a new line of sneakers on the Xbox ads platform. The client targeted a specific teenage demographic who showed interest in sports games and products related to sporting entertainment events. Adidas experience on Xbox aimed to improve retention with their customers using interactive product engagement that offered more than a simple video showing product features. Kick-off calls with clients and stakeholders to brainstorm UX solutions and technical possibilities and limitations. Pre-sale layout compositions to get clients on board with user experience and highlighting resource requirements. I created polished UI visuals and animation guidelines for the development team. Tested experience builds for usability to validate original intent and to make any adjustments needed to dial in UX before launching a live build on Xbox. 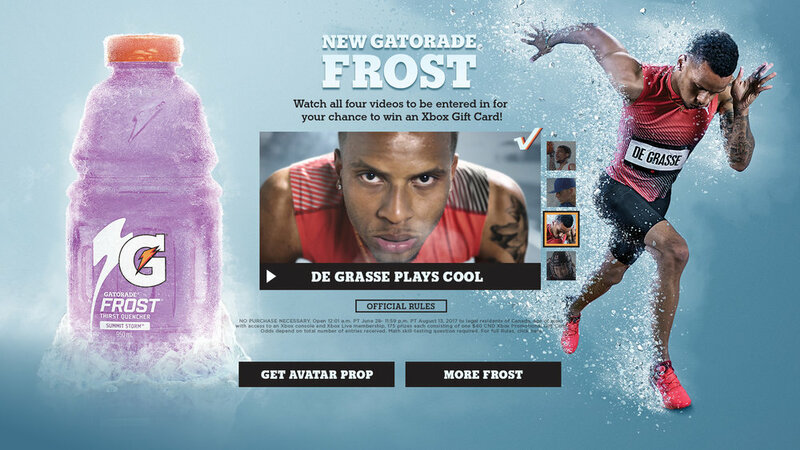 Gatorade partnership with Xbox entertainment allowed both gamer and consumers increase brand interaction and allowed the brand to better connect with its consumers. Sweepstakes offerings increased brand recognition and customer loyalty in two weeks of exposure in peak sporting event hours. 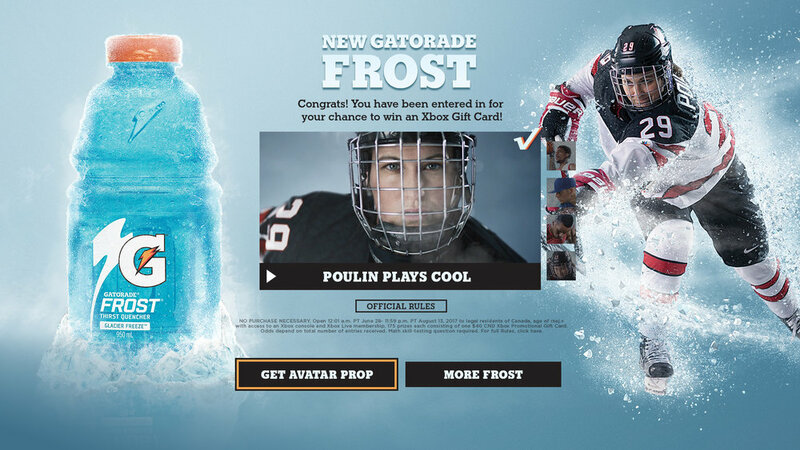 Increased number of customers who use Xbox specifically for media consumption, interacted with the Gatorade experience and spent an average of 8 minutes. I created polished UI visuals, animations, and guidelines for the development team. This experience uniquely incorporates a mini-game to engage the customer and Xbox gamers. 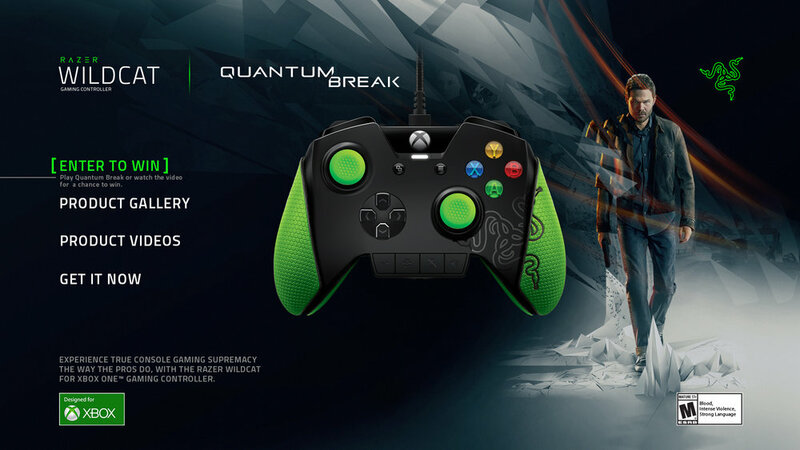 One of the most effective uses of the Xbox platform to show the most significant difference between passive and interactive product advertising. 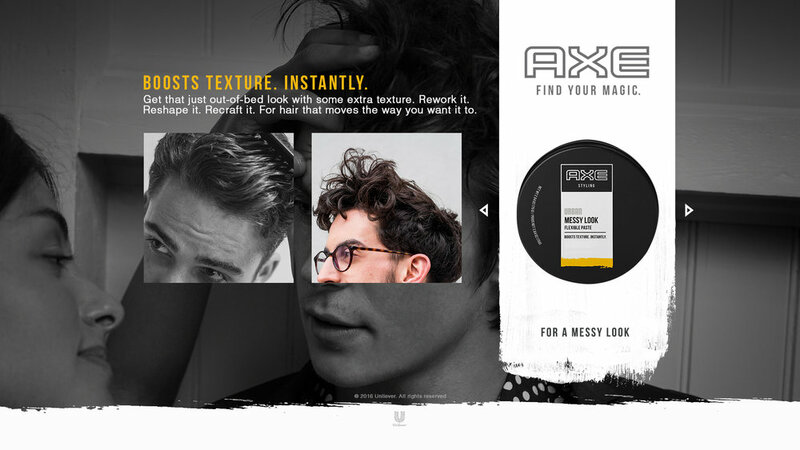 It perfectly blends gaming, short episodes, product shots to bring more attention to lifestyle rather than sell a hair product. Kick-off calls with clients and stakeholders to review brand guidelines, brainstorm UX solutions, technical possibilities and limitations. Pre-sale layout compositions and mini-game design solution to get clients on board with the user experience and highlight resource requirements. I created polished UI visuals, game UI/UX and graphics, animations and guidelines for the development team. 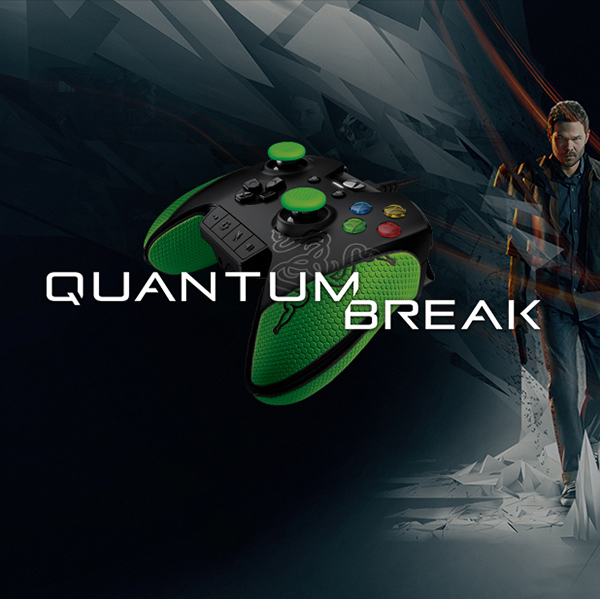 Razer Wildcat products are stylized to and merged to Quantum Break game visual aesthetics. 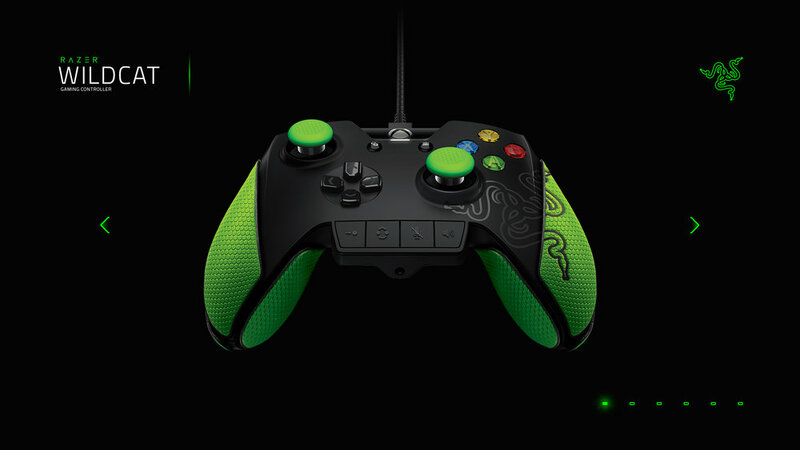 This experience showcases Razer’s new line of Xbox controllers and other gaming accessories tailored for online pro-gamers on Xbox Live Entertainment. Featuring elegant product shots, video carousel, sweepstakes, and Microsoft online store purchase option. I created polished UI visuals, intro and transition animations, delivered guidelines for the development team. Want to see more projects and the design process? Please reach out anytime for project breakdown and more campaign examples. Rejwan Ahmed | Microsoft © 2019 All rights reserved.